Very high quality arena model for historical memories. 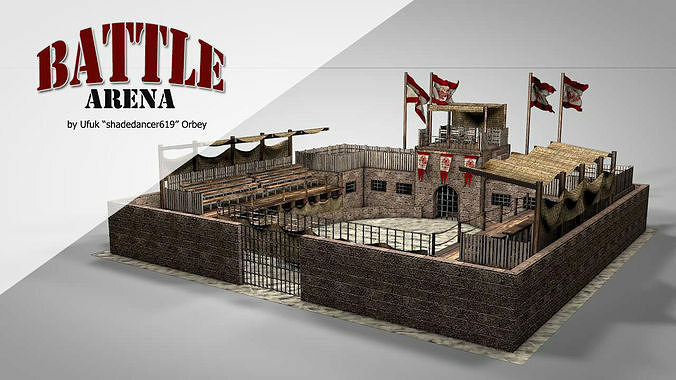 Very high quality and detailed battle arena model. Rooms are ready to furnishing. If you use it in your projects please let me know how you do it! Textures are ok for C4D format but baked textures are perfectly fit to all other formats. Just find and define them to the correct objects. The model is really great and super good. Most importantly, shadedancer619 is super responsive. Every issue, question and concern can be sorted out in an instant. I recommend to everyone who is looking for awesome models to check this out. Keep up doing great models and good luck! Will check out your future models/assets again. Thanks!